Spring is upon us and flu season is winding down, but it’s not over yet. 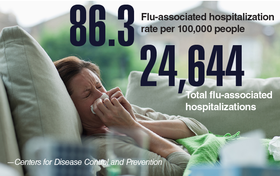 In data from its weekly report for March 3, the Centers for Disease Control and Prevention indicates that a majority of states are still seeing high flu activity during what has been a robust flu infection season. Download the PDF.